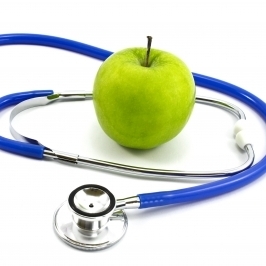 Naturopathic Doctors are trained at accredited, four-year, post-graduate medical colleges. The training consists of conventional basic sciences courses such as anatomy, physiology, biochemistry, pathology, microbiology along with physical, clinical and lab diagnosis during the first two years of education. The last two years of naturopathic medical school include clinical training and therapeutic education. Open the following document to view a table detailing the education of Naturopathic Doctors. Naturopathic Doctors (ND) are primary care physicians whose philosophy is derived from a Hippocratic teaching: Vis Medicatrix Naturae – healing power of nature. Naturopathic doctors diagnose disease and treat patients by using natural and non-invasive modalities such as herbal medicine, clinical nutrition, homeopathy, counseling and hydrotherapy among others. This approach can be successfully used to treat both chronic and acute conditions. Naturopathic medicine is a school of medical practice that blends non-toxic therapies, ancient knowledge and modern advances in medical science to assist the body in recovering from illness and injury. How are Naturopathic Doctors Licensed? In the State of California the Department of Consumer Affairs’ Bureau of Naturopathic Medicine, oversees the licensing of Naturopathic Doctors. Naturopathic Doctors receive their education at one of the AANMC approved naturopathic medical colleges. They must take and successfully pass the NPLEX Part I Basic Sciences Boards and NPLEX Part II Clinical Sciences Boards. Once licensed, a Naturopathic Doctor has to remain in good standing with the Bureau of Naturopathic Medicine and complete continuing education requirements.